The Indiana Pacers suffered some offensively last season without the offense of Paul George. 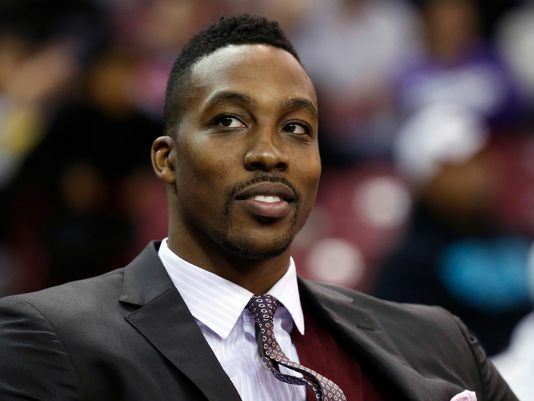 The talented small forward, who was coming off his best season heading into the 2014-2015 season, suffered a horrific injury when he went crashing into the support under the basket during a scrimmage in Las Vegas for Team USA basketball. The result of the crash had George immediately in the hospital after suffering a gruesome leg injury. And even though he came back at the end of this past season, it was noticeable that he was not the same guy he once was just yet. While he was gone, guys like Rodney Stuckey picked up the slack for him. But even in doing that, there was just not enough consistent scoring with this team. And despite being able to defend, they were just not able to make it happen on the offensive end of the court. Well, the Pacers upper management paid attention to this need they had and began to search out the perfect guy to give them some offense. 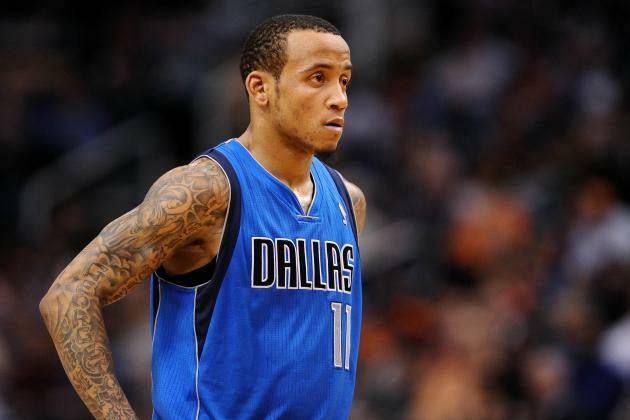 Monta Ellis was opting out of the final year of his deal with the Dallas Mavericks. He and the Mavericks were reportedly not on the same page anymore among other reasons as to why he was ready to leave. Ellis was taking a chance on himself. He knew he could get some money from some team, but he also wanted to see if he could get a competitive situation also. The Pacers presented that situation he needed and now both are reportedly joining forces. Indiana and Monta Ellis have reportedly agreed to a four year deal worth $44 million. The deal also includes an opt out clause for the final year of the deal. He steps right into a void for the Pacers and the Pacers satisfied him financially. But what does this pairing ultimately mean for the Pacers organization? Monta Ellis has been a scorer for his entire career. Everywhere he has gone, he has produced on the offensive end. By getting him there, the pressure is off Paul George some heading into next season. George can now take his time building back up his game with a scorer to the level of Ellis in there. And the thing that is so amazing about this signing for the Pacers is that they have never really had a consistent secondary scorer alongside their lead scorers in the past few years. When Danny Granger was there, they had a crew of people that chipped in but were never consistent. And when Paul George broke out when Danny Granger was injured, Lance Stephenson was the guy that could make it happen most of the time, but he was not always consistent either. And with Roy Hibbert, who the Pacers are paying serious money to, he has not always played as big as he is at all times. The inconsistency offensively always ate at the Pacers and eventually cost them when it counted in the playoffs. Ellis solves that issue with the signing of his name on the dotted line. Now George has another option with him and maybe point guard George Hill can slide into the third scorer role for them. Another thing that would be good for the Pacers would be if Rodney Stuckey decided to stay. If he did, then you could bring in Stuckey as instant offense off the bench to keep the offensive continuity going. Ellis brings a lot offensively with him to Indiana, but he unfortunately does not bring the same things on the defensive side of the court. For years people have talked about the defender that Ellis isn’t. He has always been that guy that is a small shooting guard or an average-sized point guard in different lineups. In Indiana, he will be the guy that is counted on to guard opposing shooting guards. Imagine him trying to guard a guy like Jimmy Butler from Chicago on a consistent basis (Chicago is in the Pacers’ division). Butler, standing at 6’7”, would take him in the post at will and shoot right over the top of him. And this is just one of the players at that position that could cause him issues. With George Hill as the starting point guard, he may be able to switch onto playing the opposing team’s point guard, but that will not help as much either because Ellis is not a solid defender. He is a gambler and when a gambler gets caught, he tends to get burned. Imagine him trying to gamble on Kyrie Irving, another player within Indiana’s division in the East. Kyrie would put him on skates almost routinely and there would be nothing Ellis could do about it. For as good as he is offensively, Ellis can be a liability defensively and that can lead to more points being given up than Indiana is used to. Ellis and Indiana needed each other, but they may end up being at odds with each other in some instances as well. Ultimately, Ellis and his offense is needed and the Pacers will just have to figure out how to incorporate him in defensively so they can hide him a little bit. The more they are able to shade help his way and camouflage him on the defensive end, the more they can keep him out there. If not, then they will have to sit him more than they want due to the defensive issues. And more importantly, when the fourth quarter comes, they are going to need him out there on the court to score buckets with Paul George, bad defense or not. For better or worse, Ellis is a member of the Indiana Pacers and they are moving forward with some firepower that they sorely needed. The Thibs Era Is Assuredly Over In Chicago. What’s Next For Thibs And The Chicago Bulls? The Chicago Bulls had high expectations heading into this season. They hoped for a healthy Derrick Rose and with the addition of big man Pau Gasol, the Bulls looked to take that next step towards returning to their first NBA Finals since Michael Jordan donned his customer number 23 jersey for Chicago. The team had some high points as guard Jimmy Butler begin to come into his own this season and rookie big man Nikola Mirotic had a great month of March to garner Rookie Of the Month honors, but in the end, they could not come through. The Bulls were looked at as the only team that could take down the Cleveland Cavaliers this years as LeBron James returned back home. But instead of putting up a fight, the Bulls limped to the finish line and lost in six game to a Cavaliers team that was without an injured Kevin Love and also had a hobbled Kyrie Irving the entire series. But not only did they lose the game, they lost it in embarrassing fashion, failing to hit more than 40% of their shots. And just like that, the hope that was once there disappeared into the Chicago night. The loss was a symptom of what has happened the last few years in Chicago. They overachieve in the regular season and get to the postseason and run out of gas. Of course, the last couple of years Derrick Rose has not been there to join them in the playoffs due to injuries, but the result was still the same this season with him out there. The team was obviously based on defense and that was not by accident. Bulls head coach Tom Thibodeau came to the Bulls after being a defensive mastermind his entire career as an assistant coach. And when he first came to Chicago, he inherited a team that was just barely getting into the playoffs. But with Derrick Rose having an MVP season in his first year as coach, the Bulls took over the number one spot in the East and were the pick of many to make it out of the East that season. But in the Conference Finals, they fell to the LeBron James-led Miami Heat in five grueling games. The Bulls never reached that type of success under Thibodeau again. Part of that was due to Rose being injured during those times, but some of that was because Thibs, as his players call him, would focus so much on defense that he would not put as much into the offensive side of the ball. The result was the Bulls would be at or near the bottom of the NBA in offense. And ultimately, that would be the thing that would do them in. This season there had been even louder rumblings that he was at odds with ownership over a few things. Maybe it was because of the minutes he played his main players each game or the style of coaching he had, but there was definitely some friction. And with the Bulls being done, it is expected that Thibs will not be back next year despite having two years left on his current contract. The question now is where does Thibs land next? There has been mention of New Orleans or Orlando wanting his services and he could definitely pick where he wants to go. But in the end in Chicago, it seemed like as the season and postseason went on he had ran his course in the Windy City and a new voice needed to be heard. 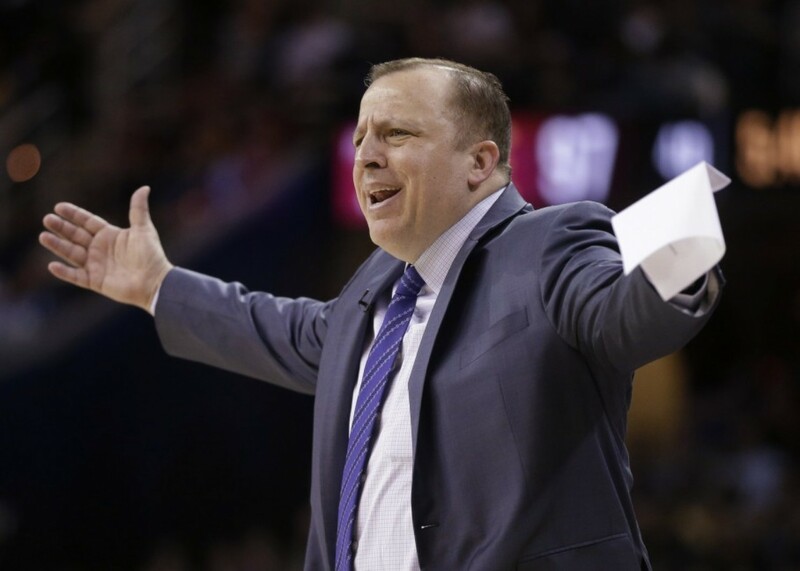 As far as the Bulls, the expected exit of Thibs leaves them with a question at the head coaching spot. Thibs made them a tough-as-nails team, but they are also a team that still has some limitations offensively. They got a great season out of veteran Pau Gasol, but they must know that they cannot expect Gasol to turn back the clock again next season. The prevailing thought is there will be changes on the roster, but those changes could be affected by who the Bulls name as their new head coach. There has been mention of names like Iowa State’s head coach Fred Hoiberg and even some mention of former Golden State head coach Mark Jackson. But the one coach that may be the answer to what the Bulls need may be an assistant coach on the Warriors staff presently under Steve Kerr. Alvin Gentry is not a name that many talk about as a hot name in the head coaching circles right now, but he should be. Gentry was brought in to be the offensive assidtant coach for Kerr this season and he has made them an even more efficient offense. Of course, with MVP Steph Curry at the controls and Klay Thompson as his running mate, it would be easy to make that offense look better. But the thing he has done is use the pieces he had and use them more efficiently. For example, look at a guy like Marreese Speights. 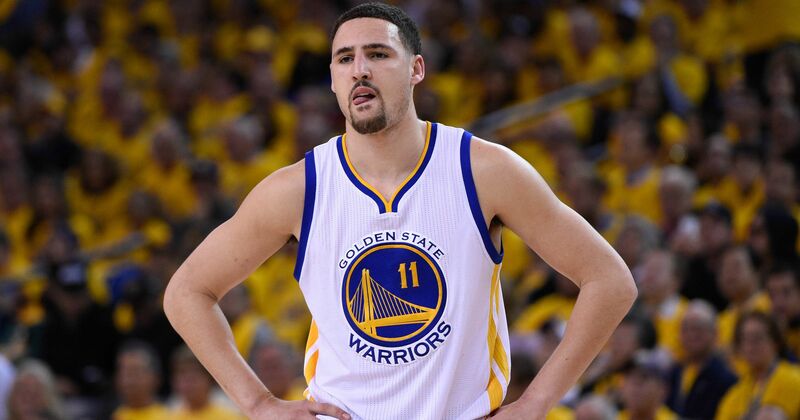 He was not a guy that many could say factored into the Warriors team last season. But in this season he went from 6.4 points per game to 10.4 points per game. And what is so amazing about that is he made that leap despite only playing three more minutes than he did the previous year. The Warriors, despite some that say their offense is too perimeter-oriented, have proven the naysayers wrong time and time again due to the great ball movement and attacking style of their perimeter guys. Looking at who could potentially be in Chicago, his ball movement/attacking style would fit. Chicago would have to get better shooting, but provided Jimmy Butler re-signs in Chicago and Rose can stay relatively healthy, the Bulls would have a dangerous backcourt that teams would have to reckon with. And in Pau, the Bulls would have that one big man that could be their facilitator like Andrew Bogut is for the Warriors. A few other tweaks in terms of the bench and then the Bulls could make the improvement offensively that they need. The only question that would come is what would their defense look like under Gentry? None will have that answer, but as long as Butler is still on the perimeter defending and Noah can play solid on the backline (provided he does not play like a shell of himself again next season), the base will be set for a solid defense. All in all, the Bulls would more than likely sacrifice some defense for offense and that could help them take a different direction for the betterment of the team in the postseason. There are many questions that surround the Bulls going into next season. More than likely one big man will be traded and the Bulls have decisions to make on restricted free-agent Jimmy Butler and wing player Mike Dunleavy, Jr. Along with that, the Bulls have to makeover some of their bench pieces. But let’s not forget the job that Thibs did. 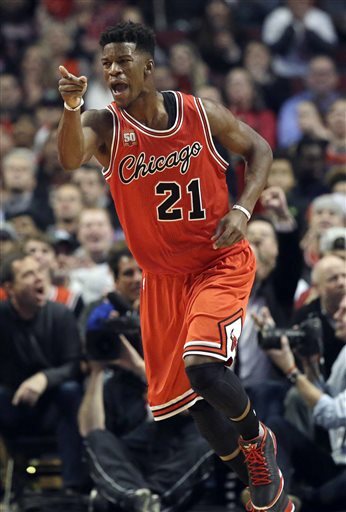 He made the Bulls respectable again. Unfortunately, he was not able to get the Bulls where many fans would like to see them. And because of the disagreements between Thibs and management, the end is here. Farewell to the season Chicago, you just were not good enough at the right time of the season. And while the Bulls fall, the atomic bomb could drop to change the dynamic and look of this team. Change is coming in Chicago.